If you’re a business owner, chances are you’ve heard of other businesses and people hiring a new WordPress developer in the Denver Tech Center for their new WordPress development project, but why you may ask? WordPress. WP is an open source content publishing system created in 2003 and each new update has introduced powerful features like new WordPress plugins, widgets, and media management. But why is WordPress development so popular? Many people still believe that WordPress is still just a blogging platform with very little you can do to customize the look and feel. Well, we would argue that it is anything but just another blogging platform. WordPress is such a versatile, user-friendly content management system, that not only is it used by Fortune 500 companies like eBay, GM, and Reuters News, it is also used by over 7.5 million other sites of all sizes and niches. Why, then, is WordPress development growing at such a huge rate? Here are the five most important things that make WordPress our favorite platform for website development nowadays. Give these a look and see if any of this looks good to you and if so, contact us and we can get started on your new WordPress development project immediately. 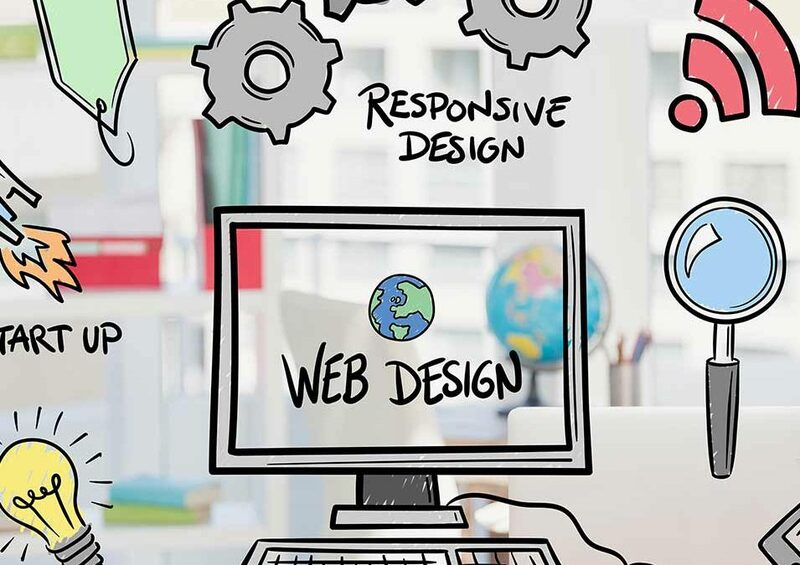 Why re-invent the wheel when it comes to your website design and functionality? Almost anything you can think of to have your website do such as performing a function, or having clients be able to book appointments on your site, has already been done before and was put into a plugin for all of us to use. This means we don’t have to do a bunch of custom coding for your website. We simply find the plugin and purchase if necessary, and drop it in. Sometimes it takes a little bit of configuring but for the most part, it makes your new site super easy to do what you want. You now have the ability to have multiple WordPress sites on the same installation. This feature allows you to create a site for each of your store locations or franchisees without purchasing extra websites or hosting packages. 3. OOPS! I ACCIDENTALLY DELETED THAT! We’ve all done it and WordPress has a great solution. It keeps a record of the changes you make to your web page and if you accidentally delete something and need to revert back to a previous state, WordPress has you covered. You simply drag a slider to a date that you want to revert to and apply the revision. Problem solved! If you’ve ever worked with a hand-coded website or worked with a complex CMS, you’ll be pleased with WordPress’s easy learning curve and organization. The basics of WordPress are very easy to learn and changing things on your site sometimes only takes moments and a few clicks. Because WordPress takes a lot of the work out of creating a new site, the prices have come down dramatically and you don’t have to blow your entire budget on your new web site. We generally take a few minutes and show you the basics of how to use your site so you are able to make simple changes when you need to such as text changes and image changes or adding blog posts. We are WordPress developers and like to create custom designed sites but if you want to save even more time or even try to do the site yourself, there is a theme out there for any type of site you can think of. A theme is basically a look and a layout that is already made that you simple add your branding and wording and maybe images to and you have your site done. Many are super editable and many are not so you need to know what to look for and we can help you with that as well. Changing the theme on a site can literally take seconds to complete so it is just another way that WordPress is helping your life to be less complicated. If you’re ready to get started on your web site and need a great graphic designer, contact us. We serve the Denver Tech Center, Castle Rock, Douglas County, Colorado Springs, Lone Tree, Aurora, Centennial, and everywhere else in Colorado. We offer graphic design services as well so we can design your site AND develop it! Robert Arthur Designs proudly serves Colorado, Douglas County, Castle Rock, Highlands Ranch, the Denver Tech Center, and Denver. Contact us to find out how we can help you with your web design needs.